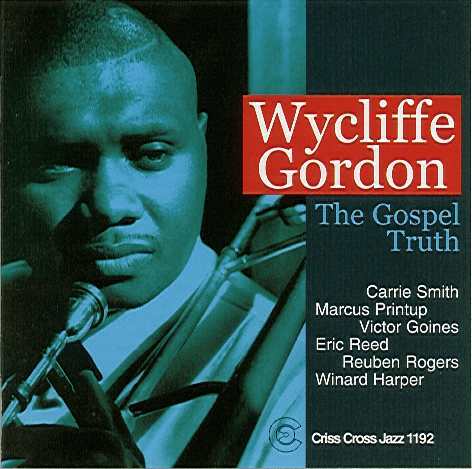 On his Criss Cross debut CD trombone star Wycliffe Gordon and a sextet of like-minded associates plus blues singer Carrie Smith, present an expressive program mirroring black church liturgy that eliminates all barriers between the sacred and the secular. In the band Marcus Printup on trumpet, Victor Goines on tenor sax and pianist Eric Reed, all colleagues from the Wynton Marsalis Orchestra. Plus bassist Reuben Rogers and drummer Winard Harper.